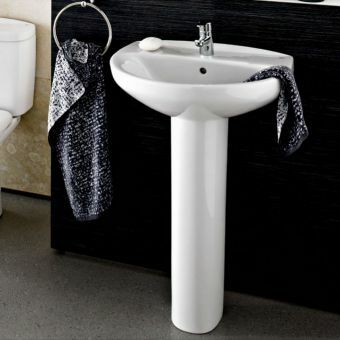 This wall-hung basin from Armitage Shanks reflects the manufacturers aim of combining elegant design with practical features. 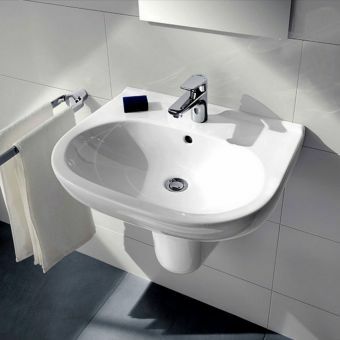 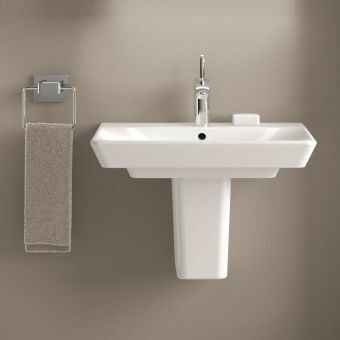 Generous in dimension 560(l) x 485(w)mm as well as stylish, the basin is easy to clean and maintain and durable. 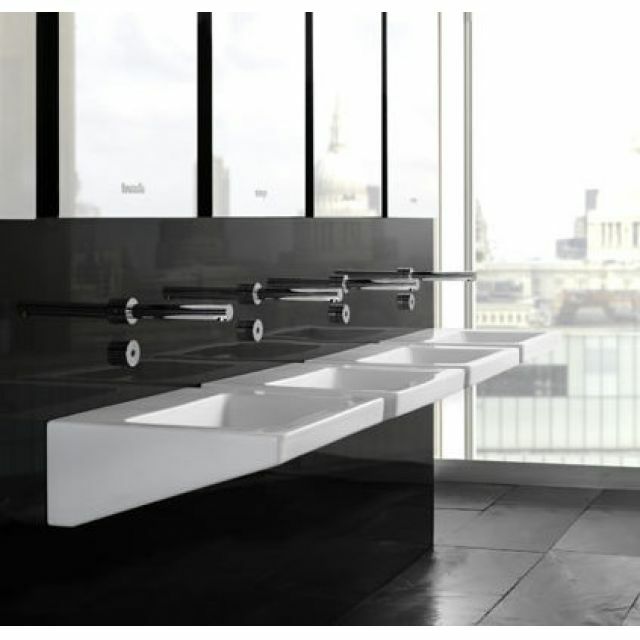 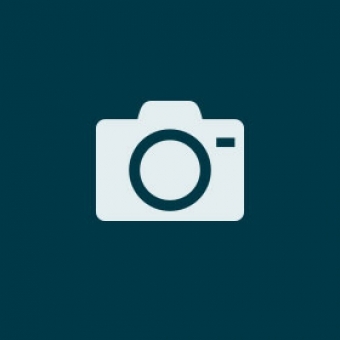 It is therefore suitable for use in the home or in a commercial context. 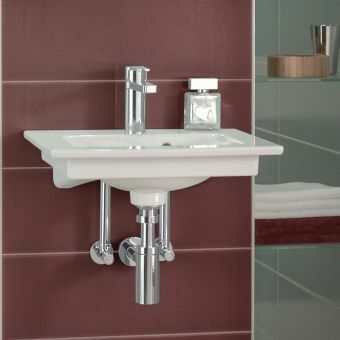 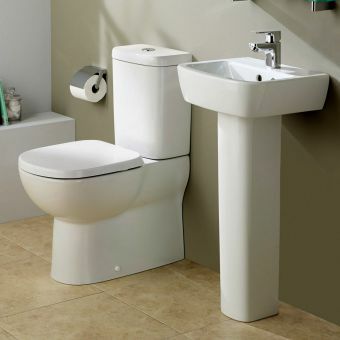 The basin has no tapholes and taps are not included in the price, but a wide range of matchable taps and mixers are available from Armitage Shanks, as are hangers and wall brackets. 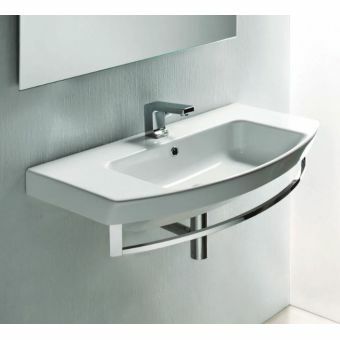 Fittings are not supplied with this basin, please see below. 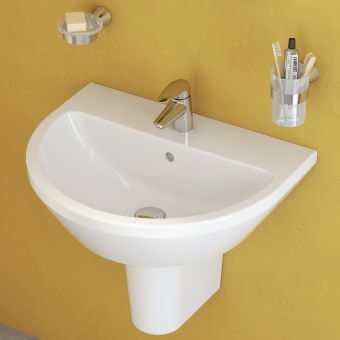 Any commercial 1 1/4 inch trap can be used with this basin.